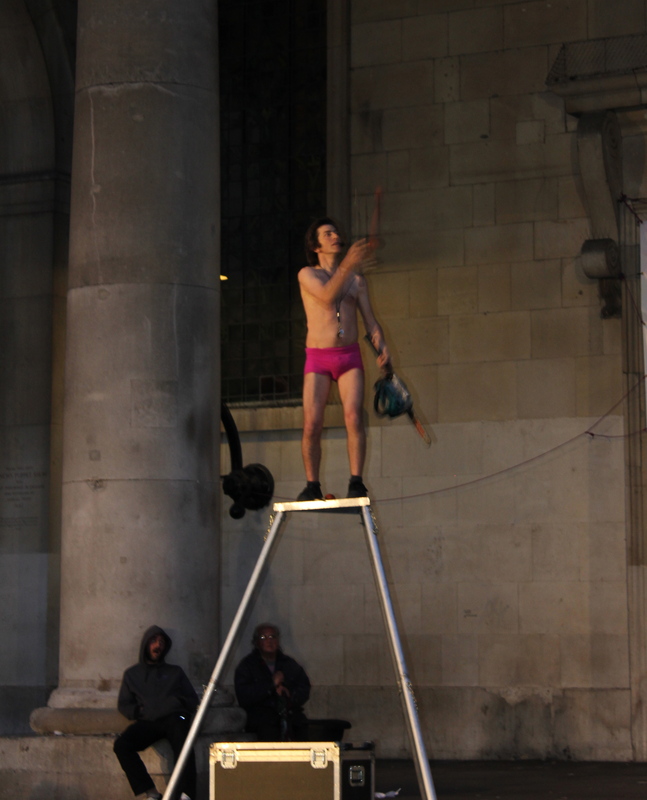 I’ve been neglecting to post what I really should… part two of the Paris photos. But this last weekend I did few days in London, and I thought while it was fresh in my mind I should post it up. I went up on Saturday evening to meet my cousin who was flying in to hang for a few days before she kicked off a Contiki tour, and also to say goodbye to my sister at the airport on Sunday. Side note: I am feeling a teensy bit sad about my sister leaving, because she was a sort of security blanket – someone I knew and could depend on for company in this town. On the other hand, it’s a little exhilarating, a push to jump in to the water and put myself out there to meet other people. Overall, I think it’s a good thing. 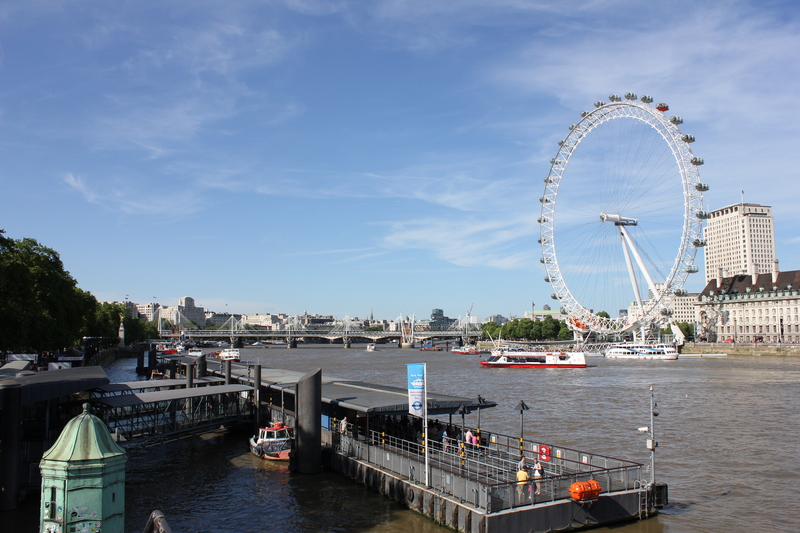 But back to London – we didn’t do too much on this amazingly sunny and hot weekend, mainly just enjoyed the best of London in the great weather. Sunday we walked around, taking in Buckingham Palace, Westminster Abbey, the London Eye, some household cavalry guards… you get the drill. We hung out in Covent Garden in the evening, an area that stays lively until late, brimming with people, market stalls and street performers. Monday we did the London Free Walking Tour with the same brilliant company I toured with in Paris. They didn’t disappoint the second time round either. Finishing off the day at the massive four-storey Primark store on Oxford Street, I rested my weary legs in a corner while my cousin waited 40 minutes just to try on her items in the dressing room!!! 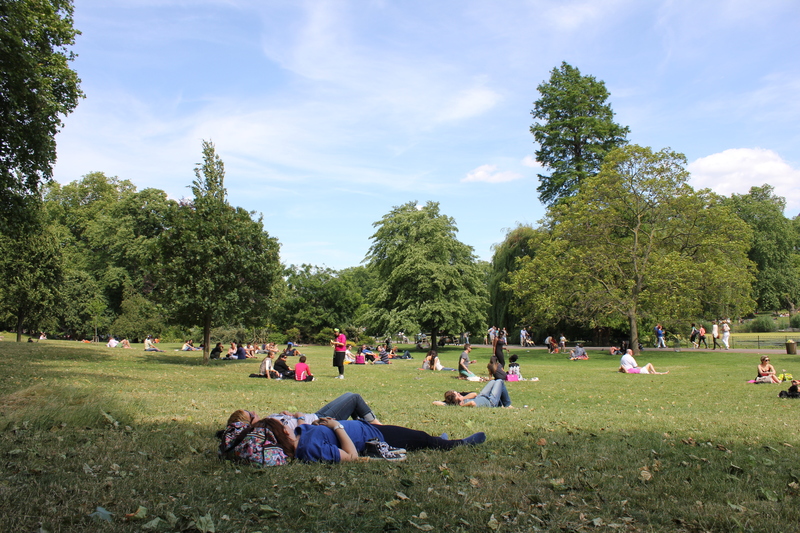 Cider, crisps and cookies in St James Park. A beautiful lazy Sunday afternoon. 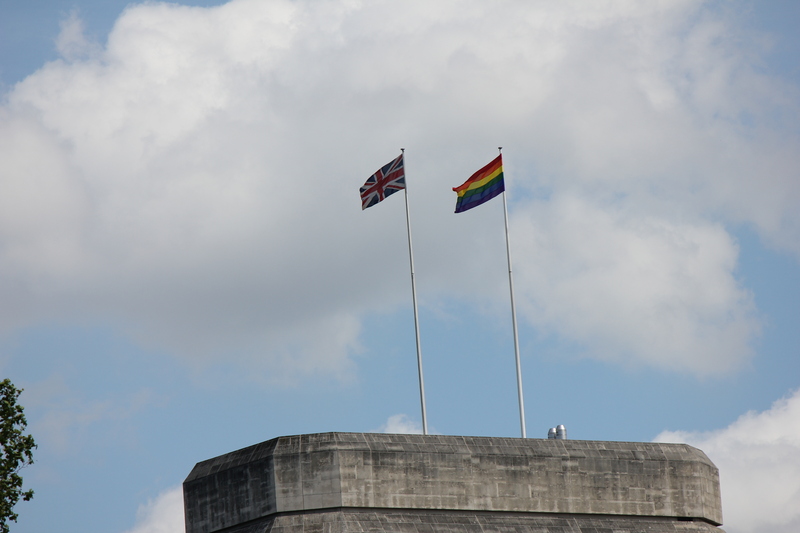 London Pride, flying from one of the parliamentary buildings. 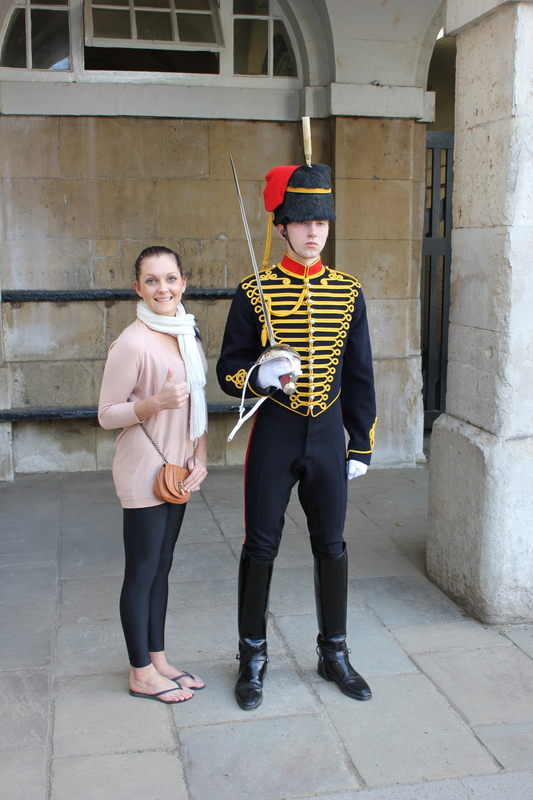 My lovely cousin with a stoic guard. 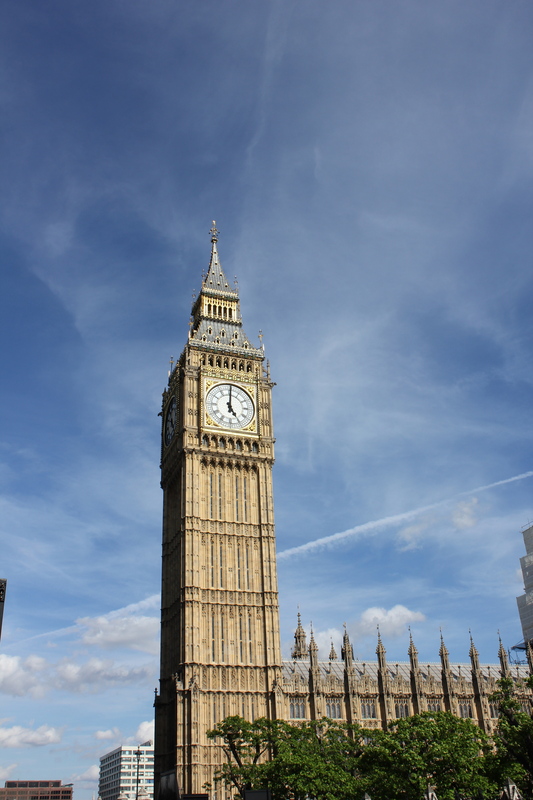 The classic ‘Big Ben’ shot, which is actually the nickname of the bell in the tower… the tower itself was renamed the Elizabeth Tower for the grand old lady’s jubilee. An iPhone panoramic with me on the right photographing ‘Big Ben’. 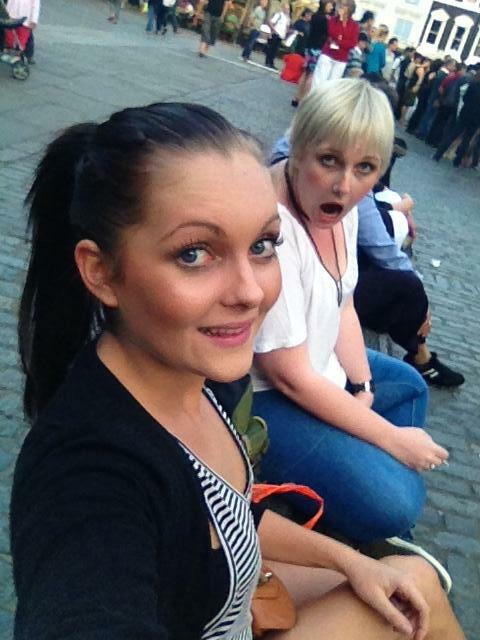 A lovely iPhone selfie, my cousin and I hanging in Covent Garden, drinking ciders on the street and watching street performers. 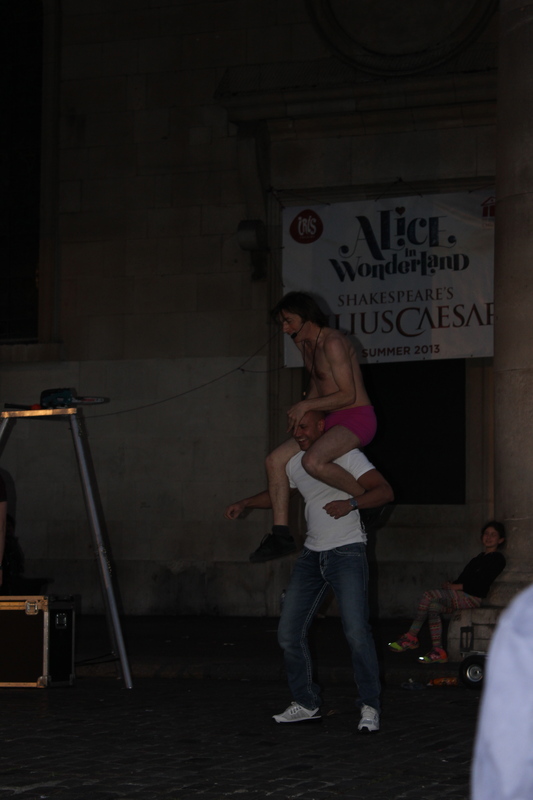 A hilariously dirty street performer who likes to ‘mount’ people from the audience…. … and juggled a running chainsaw. 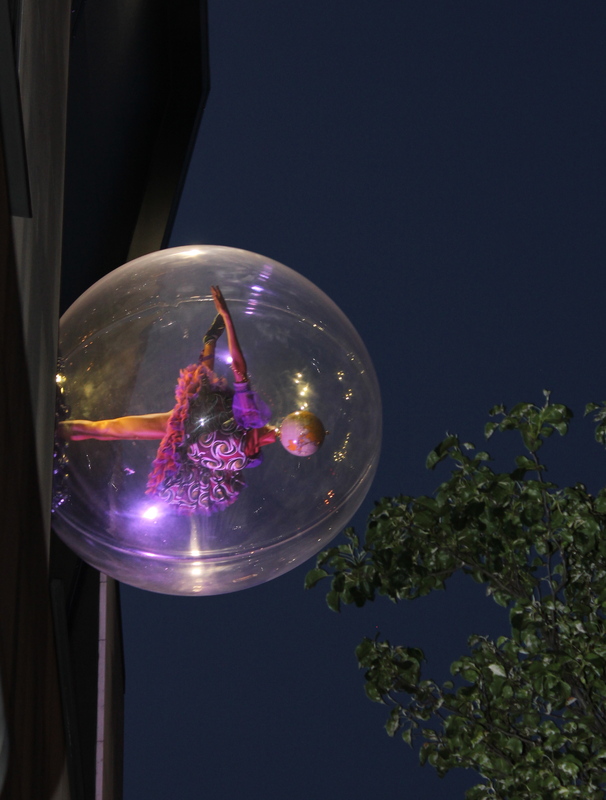 And strolling home I saw this beautiful ballerina in a bubble, hanging from the side of a building. I’m really looking forward to coming back to London and spending a weekend by myself to do some more walking tours (particularly this Grim Reaper tour), the National Portrait Gallery and the British Museum. Hopefully I’ll be able to do it in a month or so. I must say though, when my bus rolled back in to the bus stop in Brighton, and I looked out the window to see the Brighton Pier lights flashing, I felt a little leap of joy. I do love London, but it was so nice to be home. Yes, home. Home is where the heart is, and I think I’ve given my heart to Brighton.